It’s that time of the year…the time of the year when I turn on the stereo and hear chipmunks singing, “Christmas, Christmas time is here…” Yes for some reason all the girls just love listening to Alvin. Wait, scratch that, that’s me!! LOL. But either way it puts us in the mood for some Christmas shopping. Since our pack has grown this year, we are heading over to SitStay.com for great Christmas gifts for all the girls. Since 1996, SitStay has helped nurture a rewarding relationship with your four-legged friend by discovering and delivering high-quality pet products to your doorstep. As one of the pet industry’s first dot com’s, SitStay’s commitment is simple – to share products that are loved by many pets and to introduce you to products they haven’t fallen in love with, just yet. Wow! Don’t you just love a company like that ? And with a total of 9 dogs to buy presents for they have made my job so easy with the SitStay Holiday Gift Guide. With this guide you can find just about anything for your pooch with 10 gifts under $10, 20 gifts under $20 and specially priced gift sets. Tennis Balls Galore – a bag of 10 Tennis Balls. She knows that Daisy and Chicky go crazy for balls, what a great gift for them! Candy Cane Lane Bully Sticks – What can be better than a bully stick? How about a BAG of bully sticks! 6 bully sticks, enough for sharing with Katie, Chicky, Riley, Molly, Ise and for herself. 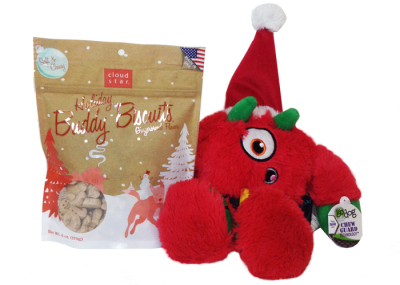 Fuzzy Yedi & Holiday Treats – What a great choice this is! Fuzzy Yedi is a GoDog Plush toy with chew guard and Cloud Star Biscuits… I think this is a great gift for training & play time! Brown Beggers Chew Sampler – This is for the big girls in the house, Kyra, Sunny and Daisy. Each sampler includes a mishmash of 15-20 good dog-approved bones, chews, patties and jerky. A perfect gift for the hardy chewers in the house! To quote the great folks at SitStay, ‘We don’t own pets at SitStay, they own us.’ The products they share are healthful, enriching and good-dog-approved. So I guess this list is a pretty serious thing if she has taken the time to let me know what she wants to get everyone… though I am not too sure they will fit in the stockings… yup, gotta get bigger stockings too! To help everyone out this holiday season, the wonderful team at SitStay are offering our readers a 15%discount off any itme in the Holiday Gift Guide. 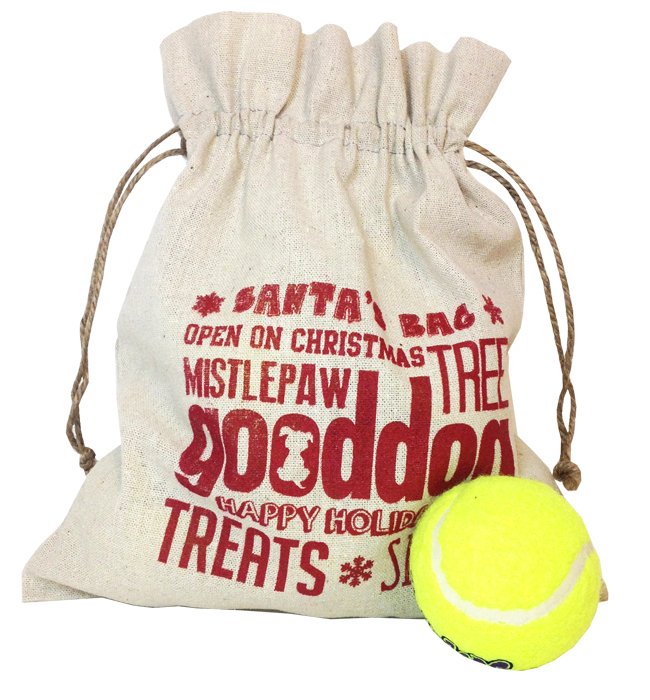 A great gift to us for gifts to our pets, just enter the promo code ENJOY15 for your discount! 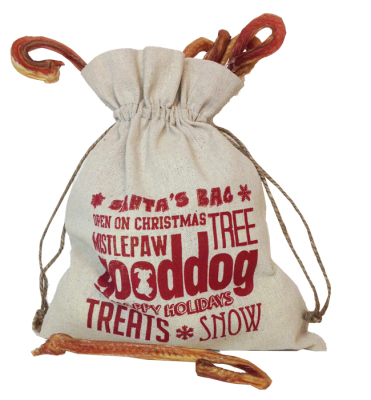 Check out this cute video, Holiday Gifts for Good Dogs! I have written this post on behalf of BlogPaws Pet Blogger Network for SitStay. 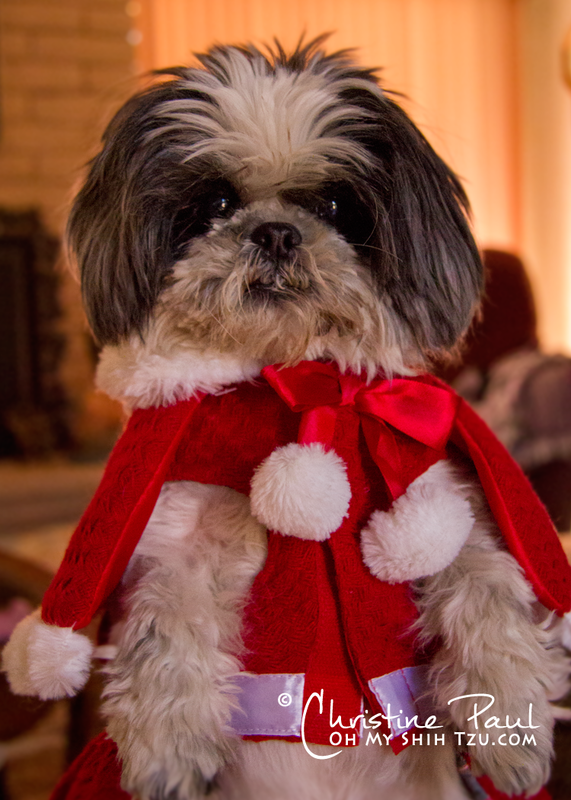 I am being compensated for helping spread the word about SitStay, but Oh My Shih Tzu only shares information we feel is relevant to our readers.